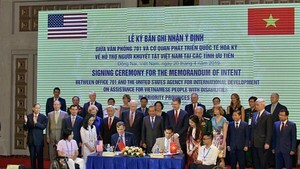 Party General Secretary Nguyen Phu Trong has asked the Mekong Delta province of Bac Lieu to focus on developing hi-tech agriculture and sea-based economy. 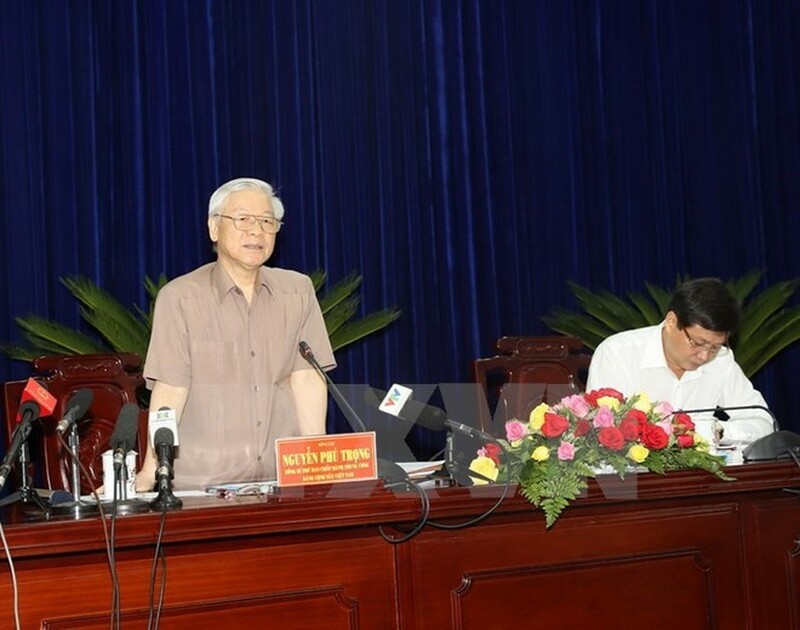 During a working session with local key officials on February 20 as part of his ongoing three-day visit to Bac Lieu to examine its Party building and socio-economic development, the Party chief highlighted the province’s great potential for developing wind and solar energy, tourism, and off-shore fishing, urging the local authorities to give priority to the sectors. He requested the locality to protect the environment and natural resources, work to mobilise all social resources for development, promote regional links and create a favourable business climate to attract investment. To effectively implement socio-economic and cultural development and defence-security tasks, Bac Lieu needs to well perform the Party building duty and strictly implement of the 12th National Party Congress’s Resolution on building and revamping the Party. He emphasised the need to better criticism and self-criticism to find out limitations and shortcomings for timely solutions. The Party leader expressed his hope that Bac Lieu will continue fully tapping its potential and strengths to achieve a stronger development in the future. Last year, Bac Lieu’s gross regional domestic product increased 5.38 percent from the previous year. The locality recorded positive development in agricultural production, with food productivity hitting over 1 million tonnes per ha. It welcomed 1.24 million visitors, earning 1 trillion VND in revenue. The rate of poor and near-poor households fell 3.31 percent and 1 percent respectively, surpassing the set targets. The day earlier, Party Secretary Trong visited a super-intensive shrimp farming model in glass houses in Vinh Thinh commune, Hoa Binh district, which applies environmentally friendly technologies in production. He also made a tour of the Bac Lieu wind-power plant in Vinh Trach Dong commune in Bac Lieu city, which includes 62 turbines with a combined capacity of 99.2 MW.